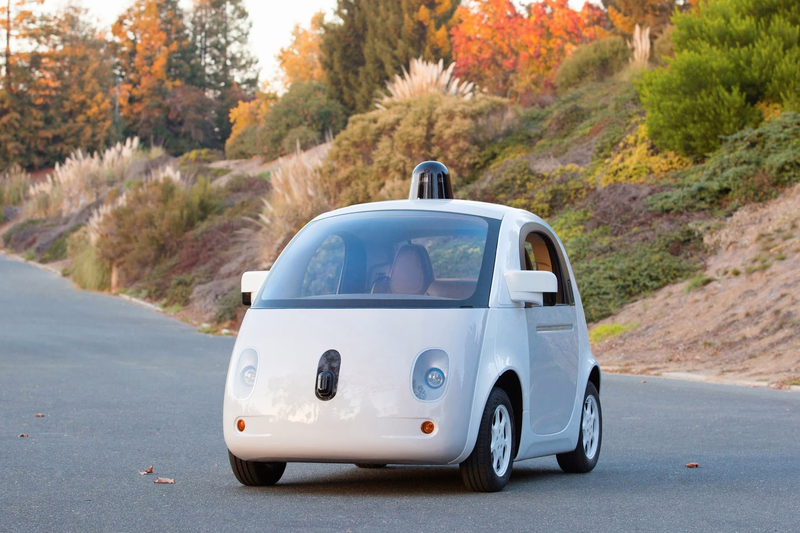 Google is a front runner in the autonomous auto future. Back in May, Google showed off an early prototype, a hack together little car with an exposed roof sensor and non-functioning headlight stickers. Today, in a short blog post, the team revealed the first fully functioning model. Yes, Google has had previous prototypes before, but each of those was missing something crucial, like headlights. Finished version look familiar? That's because it's basically the same thing as the first iteration with a little bit of spit shine applied, and all its features in place. In fact, let's play a quick game of "spot the difference."